Self Development, Self Improvement and all the other familiar terms, these things are the key step to making an influence over people or achieving success in anything, also a business. So if you want to improve your business or work and achieve huge success, firstly you need to work on improving yourself. You can also see Promissory Note Templates. 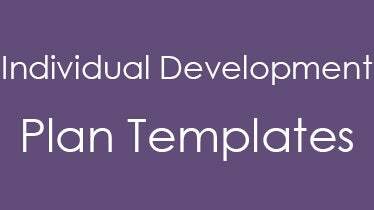 An Individual Development Plan Template is made so that you can improve yourself which makes a direct effect on the things you do, for the betterment of the tasks you perform; you must improve yourself and an Individual Development Plan Template is very necessary for the deed. You may also visit Purchase Order Templates. Companies usually execute employee development plans on a yearly basis so that they can increase the productivity out of the human resource. 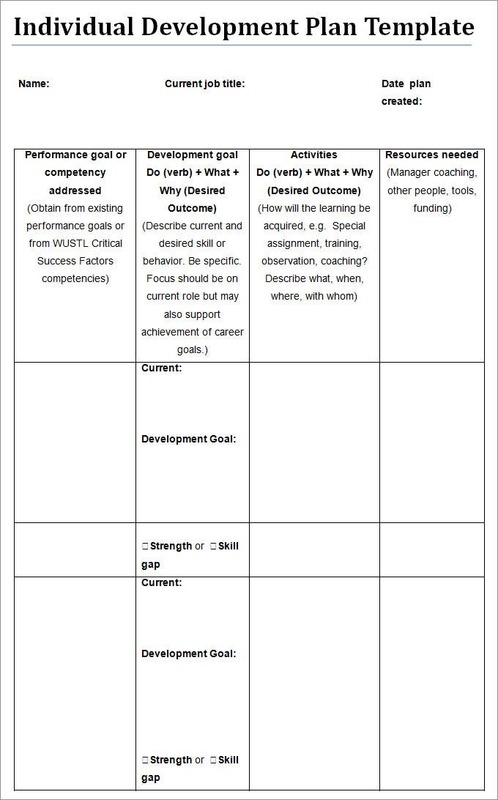 Basically, companies make the Employee Development Plan Template by keeping in mind what their employees are weak at or what the company needs to be improved on them. Training sessions for employees are being executed according to the templates. 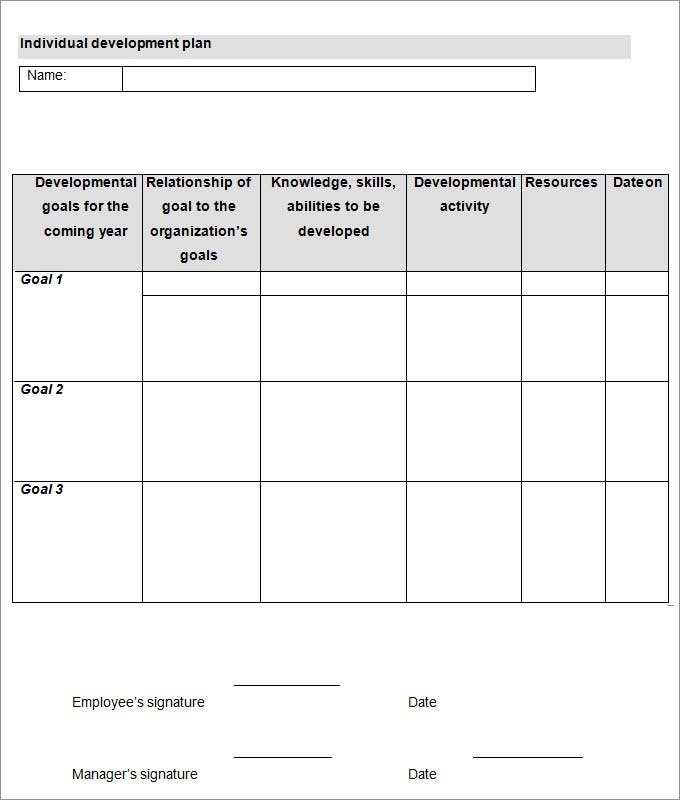 An individual development plan template focuses on improvement of one’s whole personality from normal life to professional life. An individual development plan is focused on improving a person in every better way possible. 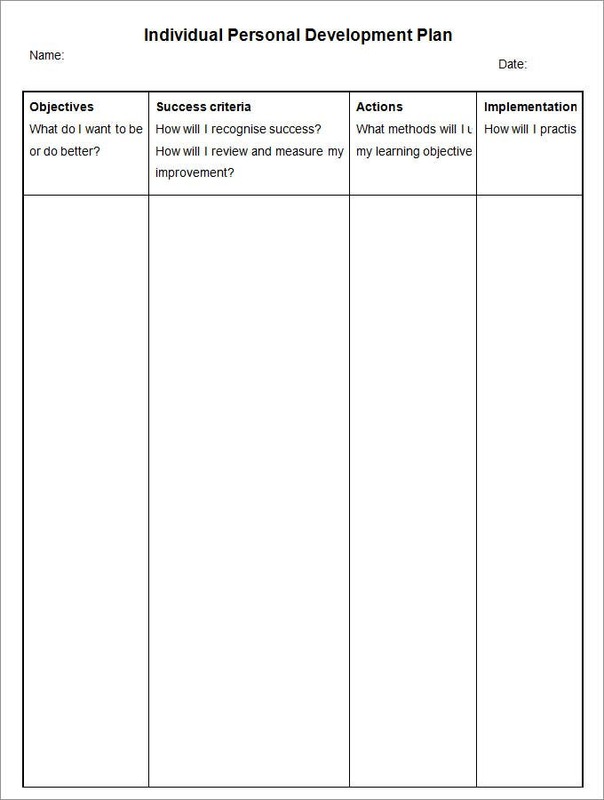 The template includes performance goals for different tasks, development goals, activities (Do and don’t), and the resources needed to implement the improvement plans. A personal development plan is being made by any person who wants to improve himself / herself. It includes the development objectives, development area priorities, what courses or activities does he needs to do to improve according to the objectives, and also the sources he/she will be needing to improve in a true way. There is also a review date set for the future the check for the developments. 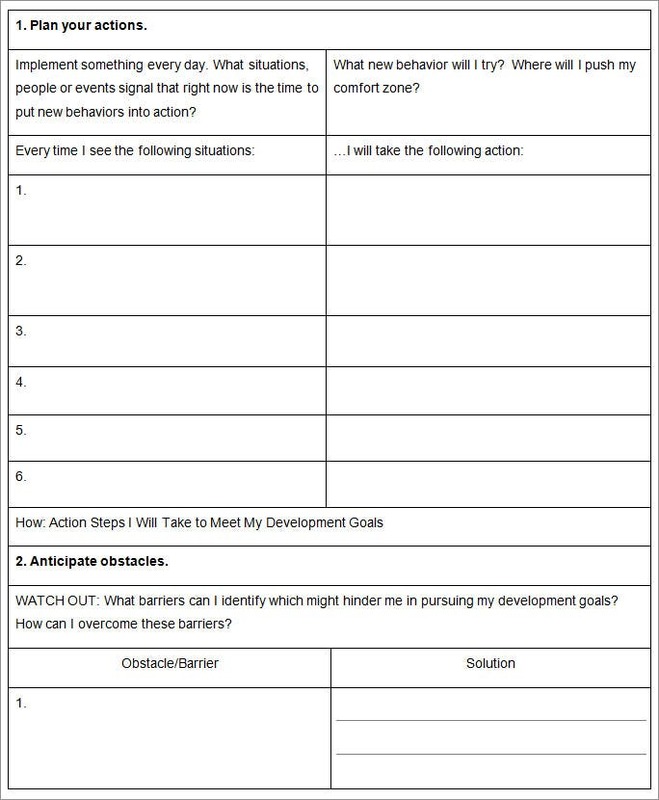 A career development plan template focuses on the improvement of one’s career. 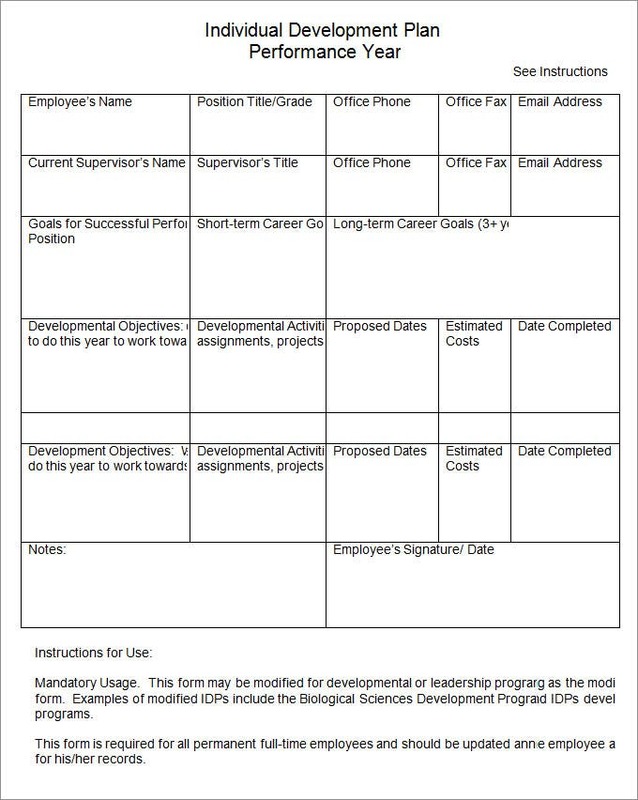 This template is made by setting things like primary career interest, long time professional goals i.e. 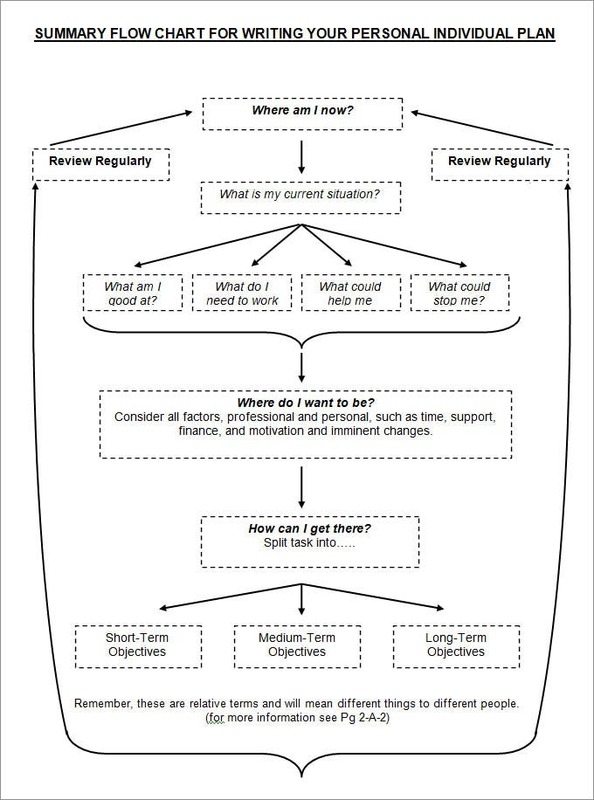 desired promotions, short term goals to support the long term professional goals (example: Completing a task before time and perfectly), how to accomplish specific tasks and also progress checkpoints to make sure the timeline stays structures. 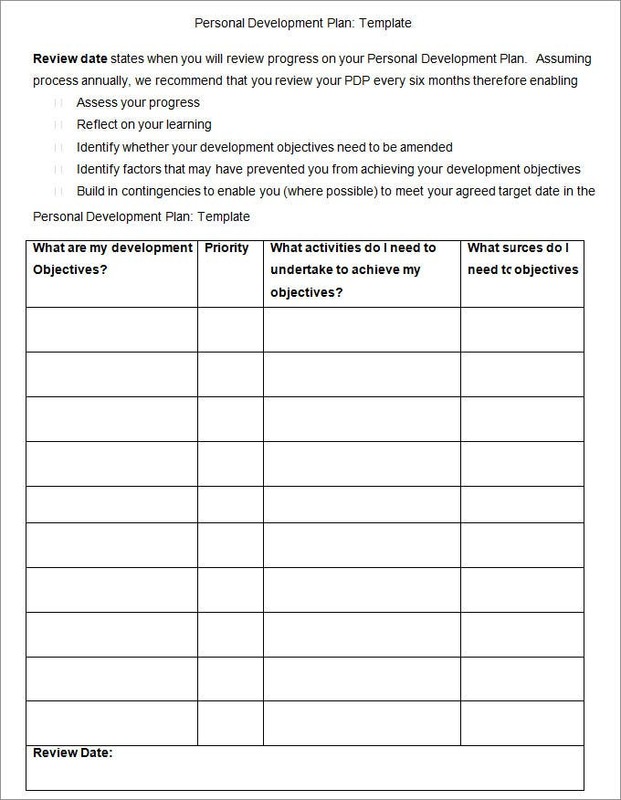 The Individual Development Plan Template is a clean and structure based template that enables the user to create, modify, present, and print a detailed development plan. 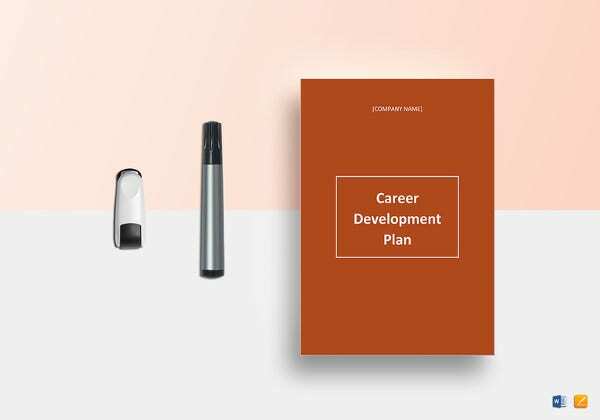 Coming with various fields and sections to help you define your future personal, educational and career development planning, all of these templates are highly customizable and contains various measures to track your progress. Individual Development Plans are meant to improve a person in many ways. 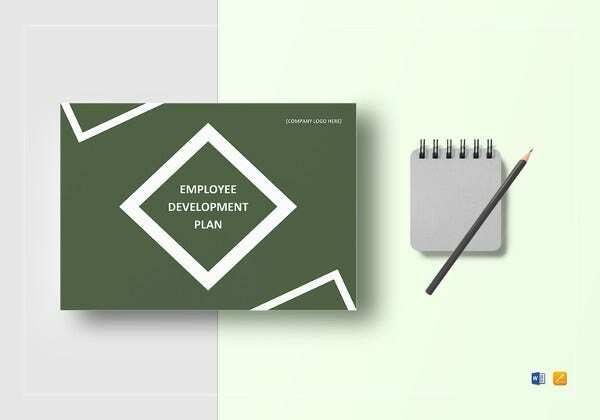 Sometimes the development plan templates are focused on improving the employees of a company in a way to increase productivity. Sometimes it’s about improving one’s life career and, sometimes it’s focused on the whole development of a person. 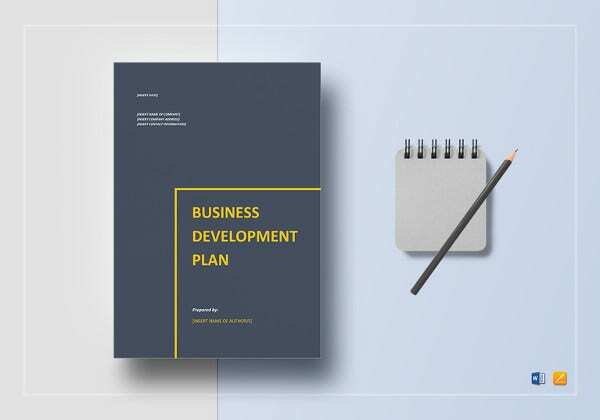 The benefits of development plans are that they improve a person in a planned way which is beneficial for the person and the company or organization he works with too. You may also visit Development Plan Template. Aim high but be realistic: Don’t make your development goals too high in the initial step, just go on by a ladder at a time. Ask for help: If you are creating your development plan for the first time, just take help from your colleagues, it will be very beneficial. Take time: Don’t rush making your development plan. Take time to analyze in which fields you need the more development and frame it accordingly. Update it time to time: Whenever you think you are improving, update your goals higher and see yourself improve much more. 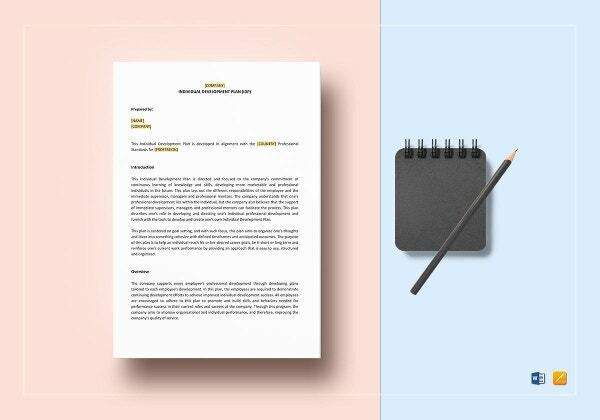 We have templates in both Word and PDF formats, easily editable so you can alter them according to requirement. Our files are compatible with lower and upper versions too. If you want any customizations, we are more than happy to do it for you. We believe in delivering 100% satisfaction. If you have any DMCA issues on this post, please contact us!